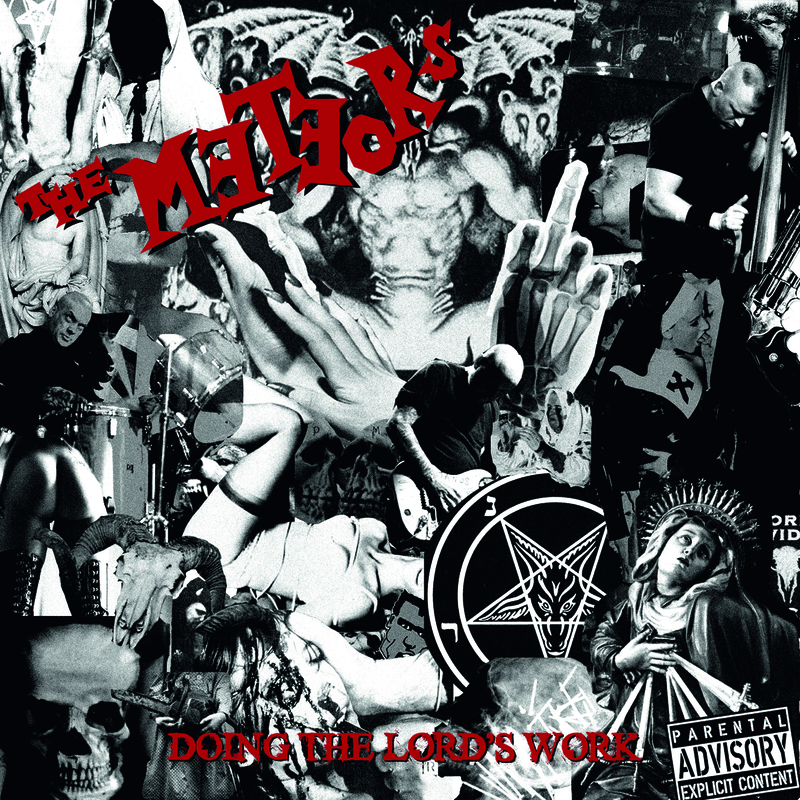 The Meteors – ‘Doing The Lord’s Work’ new album out 08/10/12 on People Like You. THE METEORS were formed in 1980 in a reaction to the bands that were singing about ‘Big Green Cars’ ‘Rocking This Town’ and being ‘Rockabilly Rebels’. Preferring their songs to contain topics about vampires, stomping in graveyards and radioactive kids P Paul Fenech, Mark Robertson and Nigel Lewis soon found themselves all over the media. A media who were eagerly lapping up their new sound christened (thought that is surely not the right word) – ‘Psychobilly’. The Meteors were front page news in the weekly music press, recording radio sessions and interviews for legends like John Peel, and gracing the silver screen care of a movie short that did the rounds with the Two-Tone movie ‘Dance Craze’. Their film ‘Meteor Madness’, apart from hosting some crazed performances with the unhinged trio, also featured songstress Lilly Allen’s father starring as none other than the rather exasperated Devil, strange but true. 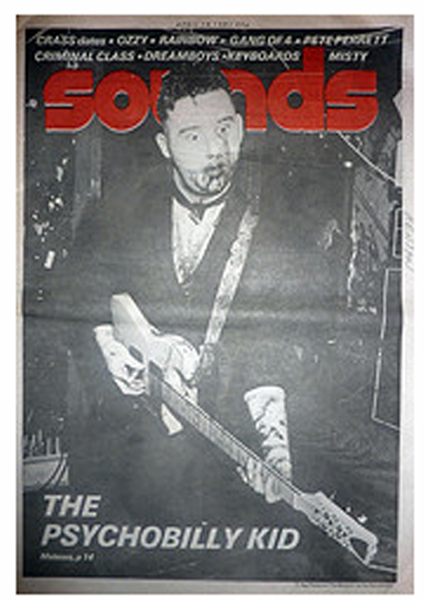 By 1982 the original line-up had split with Lewis and Robertson going on to form their own bands while P Paul forged ahead with a free hand with The Meteors and his idea of how psychobilly should sound. That was a sound that had grown from one of a band’s own personal identity to a world-wide genre that is Psychobilly now over 30 years established and still growing and thriving around the globe. The Meteors have continued to inspire and influence countless bands while leading the charge from the very vanguard. ‘Doing The Lord’s Work’ is the latest studio album by the undisputed ‘Kings Of Psychobilly’. It is as uncompromising as ever and encompasses all the elements that have always made up the Meteors brand of ‘Pure Psychobilly’, mashing up rockabilly, country, surf and rock n roll. A sound woven by Paul Fenech’s rockin’ guitar and bile-spitting Beelzebub-rousing lyrics. ‘Doing The Lord’s Work’ proves once again that despite some aspiring would-be usurpers The Meteors won’t be giving up that crown anytime soon. This entry was posted in Press Releases and tagged Century Media, Doing The Lord's Work, Free Download Doing the Lord's Work The Meteors, King's Of Psychobilly, Lilly Allen, Meteors new album, P Fenech, P Paul Fenech, People Like You, People Like You records, Psychobilly, Simon Nott., Simon Says PR, The Meteors. Bookmark the permalink.